“After moving from New York to Connecticut I found myself in need of a good repair shop to keep all 8 of my saxophones in mint condition. I can only say I was so lucky to have a repair shop right in my area of Meriden. 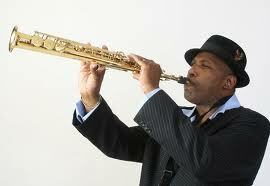 I sent in one of my top saxophone that I needed for the NAMM convention of 2012. I was amazed at the work that came from JC Music repair shop. Not only were the leaks sealed the additional tweaks done were awesome. My saxophone has never sounded this great and was the talk of the NAMM show. After seeing the amazing repair done at JC, I now bring all my instruments here. Born and raised in Brooklyn, New York, Keyan Williams now makes his home in Brooklyn again after many years in Phoenix, AZ. Keyan started playing the sax at age 8 and by the age of 16 he was playing Jazz Sax and Classical Flute. Keyan has never been shy to play for crowds. Many fans of his music have said that his style reminds them of Grover Washington Jr., and he is very humbled by their compliments. Grover Washington Jr., musically influenced Keyan, along with many other jazz artists like: Charlie Parker, John Coltrane, Wes Montgomery and Stanley Clarke. Keyan’s debut CD, “The Art of Living” was released in 2006. His highly anticipated follow- up, “It’s all about you” will be hitting the contemporary Jazz scene the 4th quarter of 2011. Keyan’s music is a groove filled production that is reminiscent of the kind of music Grover made. Keyan says, “Grover Washington Jr. is one of my favorite musicians. He would give you a great show with three hours of non-stop playing. I wanted to keep that kind of drive alive. It’s music with really strong grooves, to get back to what I call the original smooth jazz sound. I think I’ve done that with my albums”. When it comes to live performances, Keyan plays from the heart and you’ll never hear him play a solo the same way twice. He has been gracing the stage since his very early years, playing at various venues like Carnegie Hall and Avery Fisher Hall. Keyan has had the honor of sharing the stage with Herbie Hancock, Chic Corea, and Junior Cook. These experiences helped make him the performer he is today. Keyan’s charity of choice is the Susan G. Komen Breast Cancer Foundation. This charity is close to Keyan’s heart given the terrible toll it exacts on so many women and their families.